Looking for that proven performance boost for your Audi? 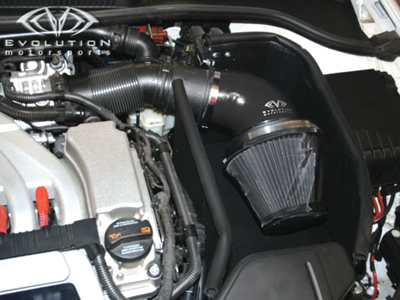 Evolution Motorsports proudly announces the release of the highly anticipated V-flow Air Induction systems for the Audis. 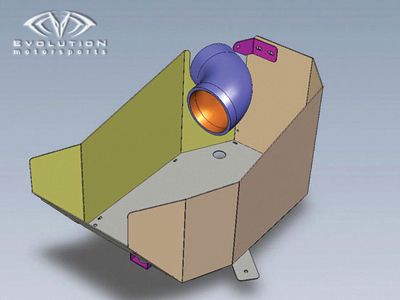 Engineered using state of the art CAD CAM 3D modeling, CNC machining, computer controlled Superflow air flow testing, rotational molding, injection molding and countless man hours, these systems represent the apex of air induction technologies. 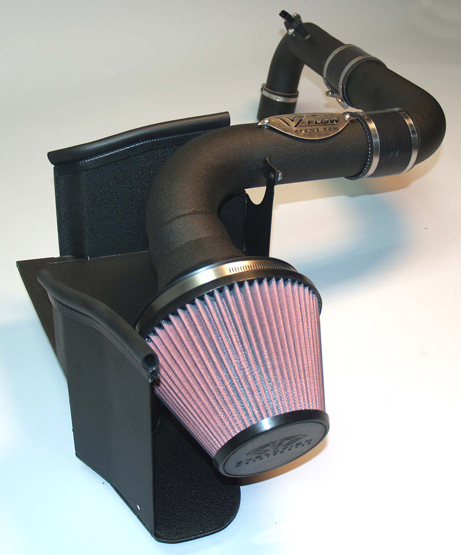 Additionally, these systems also incorporate a custom cotton air filter and a 6” injection molded Venturi that acts as a vacuum for cold-air. 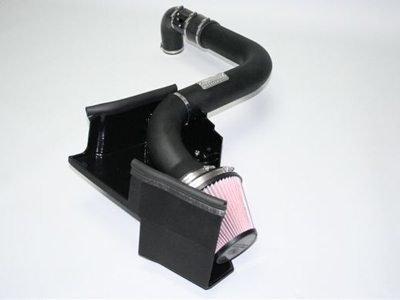 All these components work together to create the most powerful Audi air intake systems on the market today. Installation usually takes less than one hour to complete and can be done with a single person. There are no special tools required to install the intake and all the clamps and brackets you will need will be supplied with the kit. A detail instruction guide for the B7/B6 A4 can be found here. If you have any other questions, please email us at [email protected] or call us at (714) 582-3330. 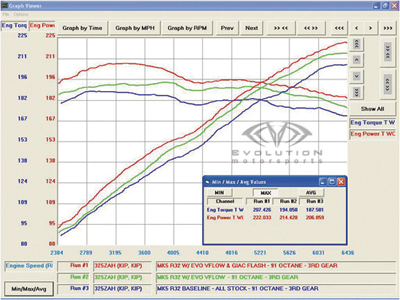 Q: What will happen to my factory warranty if I add your performance parts? A: By law, a dealership is not allowed to void a warranty based upon having aftermarket parts installed on a car. When you add an aftermarket part to the car, the aftermarket part will void the warranty of ONLY the stock part it is replacing. What that means is if you add an intake, the only part of the warranty that should be voided is that of the OEM intake. That is where consumers need to be sure to choose an aftermarket company that stands behind their products and offer warrantys on what they sell. Below you will find some articles written by SEMA regarding this issue. Q: What is the warranty on Evolution Motorsports parts?